You’re going to receive some gifts you don’t want this season. You’ll get some perfectly nice things that aren’t perfect for you. These are nice things. New things. A friend of mine often takes those gifts to Goodwill. Another friend trashes them (which I find a bit heartbreaking). I’ve got a better idea. 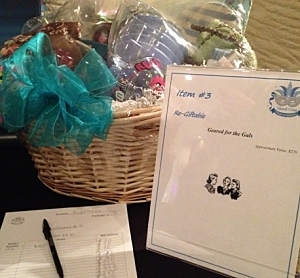 As you’re involved in a fundraising auction, you have the opportunity to gather these items, package them, and sell them. School auctions are generally better primed for this idea, but well-organized nonprofits could also make this work. As soon as January arrives, send an email to your committee or constituency. Mention that before anyone decides to cast away any unwanted gifts, you’d love it if they’d set those less-than-perfect items aside as a donation to your charity. Stress that these must be new items. 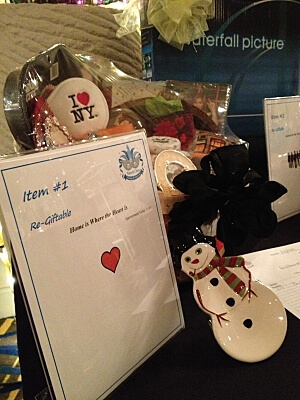 Explain that everyone likely received some less-than-perfect gifts over the holidays, and your charity has the perfect way to dispose of them — a fundraising auction! 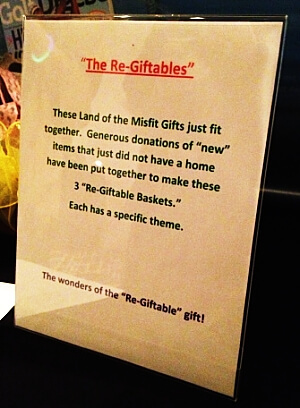 Once individuals donate their gift misfits to your organization, you’ll package them appropriately and sell them in your fundraiser. You’ll come up with your own themes of baskets once the items are in your offices.